Welcome to paradise, dear climbers! Early this year, our beloved climbing website www.climbing.ilooove.it announced a competition in association with the legendary The North Face outdoor brand. 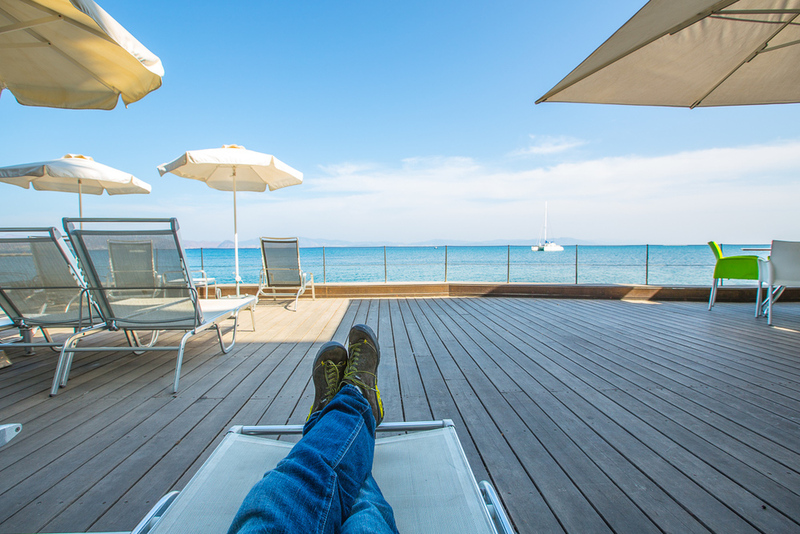 The rules were quite simple: Upload a photo and you can win a trip for two to Greece. It sounded like a simple task until I saw the photos already registered in the competition. Many talented climbers or outdoor photographers had registered. Nevertheless, we won! Only 165 sleepless nights left and we’re going to Greece! YES! I have to admit, I only knew as much about this event until then so everything we’ve had the chance to see and do on this trip was a real experience for us. 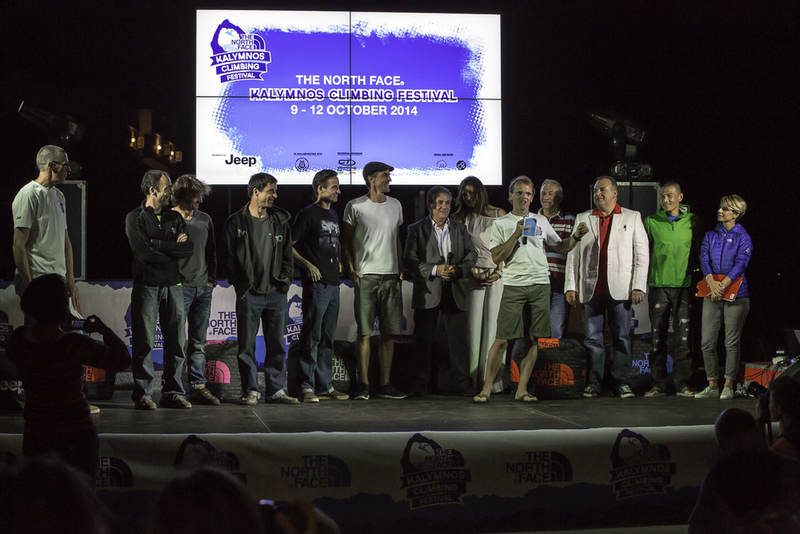 The North Face Kalymnos Rock Climbing Festival took place between 9th and 12th October this year. We prolonged our journey by arriving 3 days before in order to explore the Kos island. 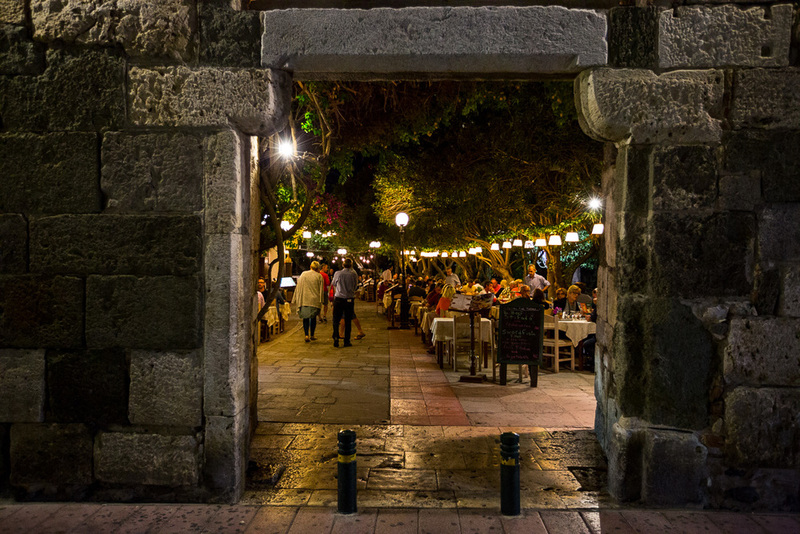 Greece and Kos in particular are truly enchanting. October is probably the best time of the year to enjoy the country without the usual tourist traffic all around you. Empty beaches, cozy restaurants, you and few others like you only. Heaven on Earth. We explored the island on a buggy within a day. We rode the whole island through, enjoyed Greek coffee in every corner of it, attended a romantic beach wedding and enjoyed the sunset with a view of coast of Turkey on the horizon. 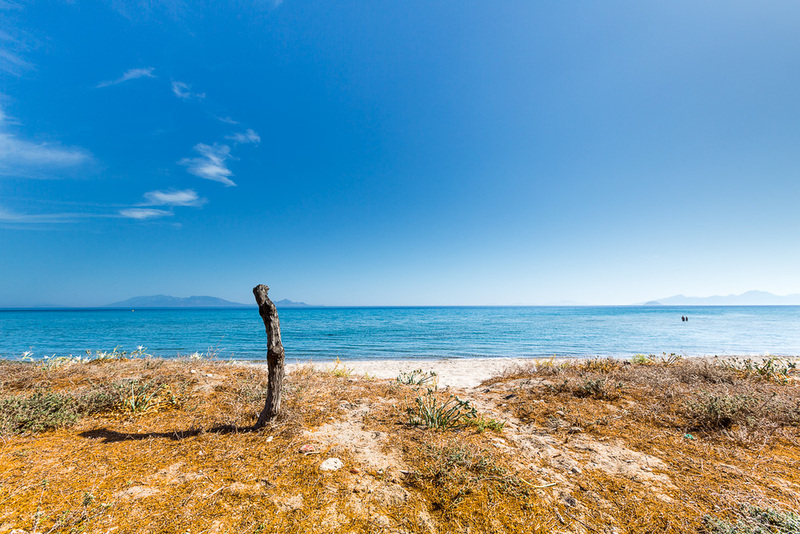 Kos is a great destination for families with kids, the whole island is lined by beautiful beaches with clear water, especially around Kefalos. We came with a different purpose, though, so one day was perfectly enough. We wanted to climb! It’s October 8th and we are boarding a ferry to isle of Kalymnos. Here’s where it starts. 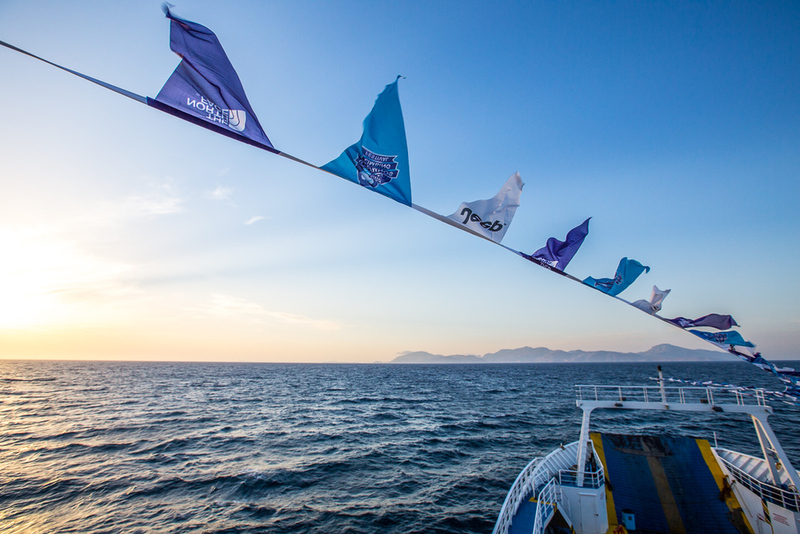 Festival flags are everywhere – on the boat, on buildings. Before, we only met locals but now all possible languages can be heard around us. This is going to be fun, it seems! As we approach the island, we’re washed over with feelings of bliss and curiosity at once. 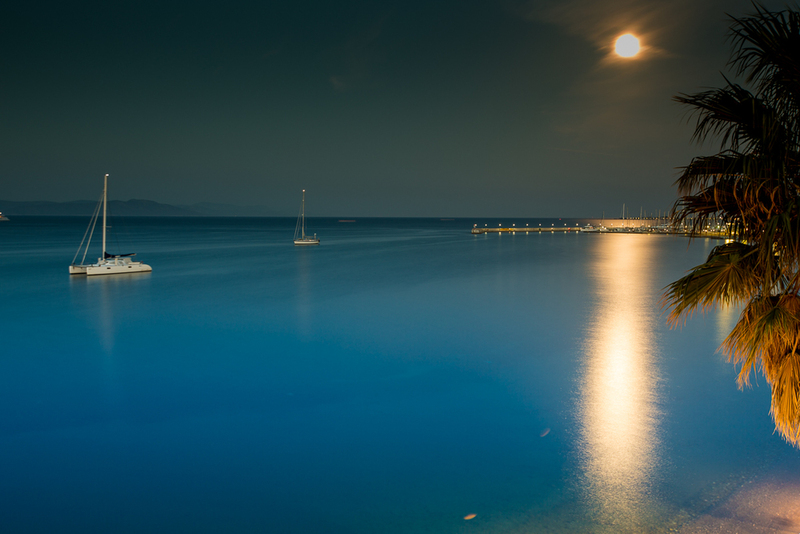 After a pleasant voyage, not longer than an hour, the arms of Pothia port embrace you. Its stone houses reach up all the whole massive rocky hills above. 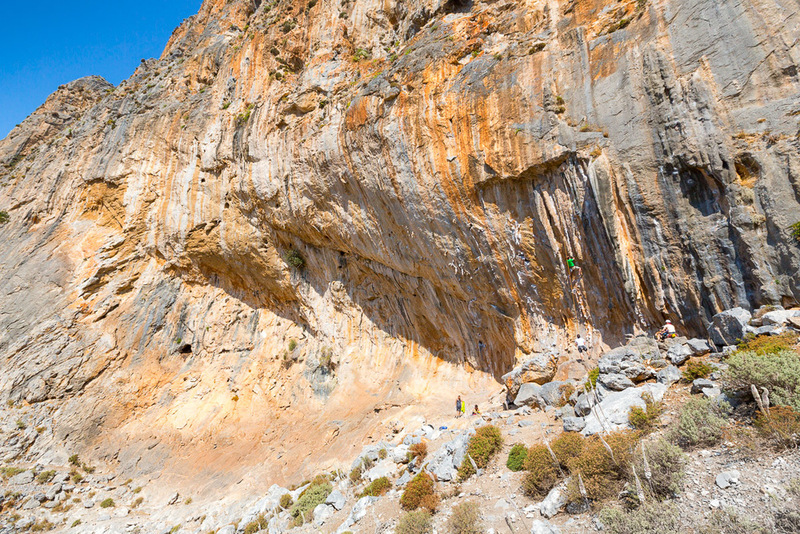 Kalymnos is by far not as inhospitable as it might seem at first glance. Quite the contrary. It enthrals you with its rough beauty and attaches to you with its uniqueness from the first moment. Nature played a great role in creating green oases in shade of the mighty rocks along the coast and local people contributed with their own hands’ creations. 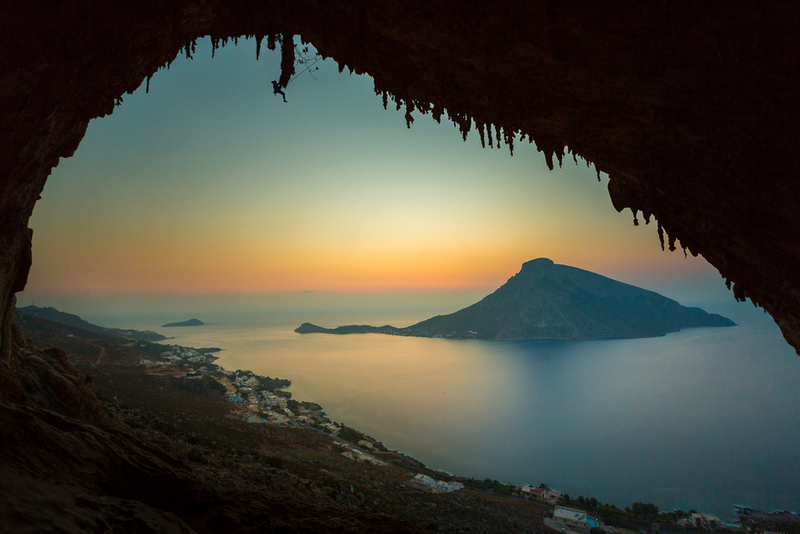 Kalymnos’ countryside is quite varied despite its small size (110 square km) and untouched. While the west coast is full of romantic coves, beaches and small hamlets, the east part of the island seems rather deserted and empty. Seeing the Vathi orange valley plantation engraved into the rocks like a fjord in this place, also known as the green oasis of Kalymnos was therefore even more of a surprise. Straight upon arrival we are welcomed by the North Face staff. They couldn’t be overlooked with their big jeeps, flags and T-Shirts with festival logo on. “Put your bags in the trunk, you take the scooter,” was the order. Each of us was given a small motorcycle that we later used to move around the isle. Despite sounding rather like a grass mower, it was surprisingly sharp in curves, which we really enjoyed. “This is where you’ll be staying. When you make yourself at home, come to basecamp to have some beer and chat,” we’re told by the organiser. 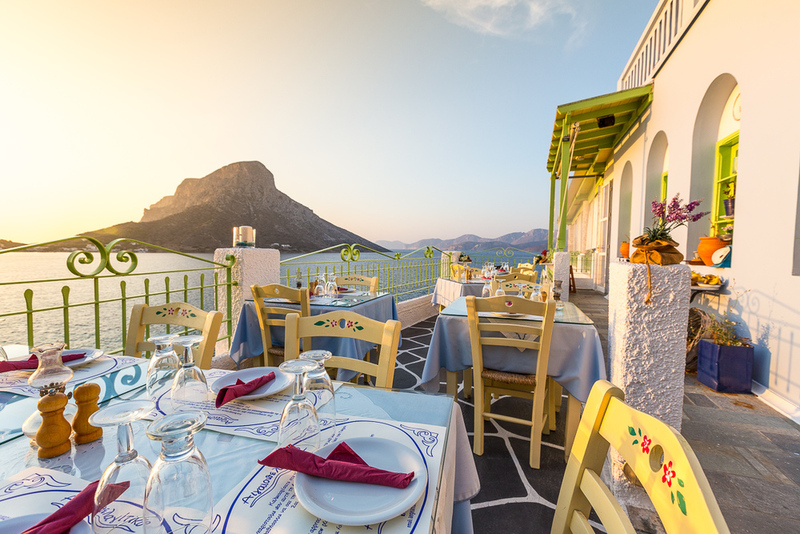 Our accommodation is situated right in the heart of Kalymnos, in the town of Massuri. Climbers everywhere! On the right, left, in the streets, everywhere! We like it here. You can sense the cheerful and adventurous spirit across the whole island. Around us, steep rocks with shapes I’ve never seen or climbed before are situated. Caves, columns, upright plates and all of this, most importantly, is situated within 30-minute walk from main road. Massuri. All houses are terrace-built and offer a splendid view of the sea and neighboring Talendos island. The whole town is comprised of one main road with two sets of steps leading either down to the beach or up to the houses. Tourists come to Kalymnos mainly to ease down from their continental rhytm of life into a more sluggish lifestyle of this magical place. Next day we woke into a beautiful weather with a view of the surrounding rocks, a picture that hardly ever changed in the course of next days. There were accompanying events held every evening in base camp, the heart of the whole festival. Every day, climbers, non-climbers and even locals led by their mayor all met here to share their stories, adventures and plans for the days yet to come. We’ve had the possibility to watch the latest movies from The North Face production and to have a few words with the world’s climbing legends (Jean Baptiste Tribout of France, Patxi Arocena of Spain, Gerhard Höragher of Austria, Ben Moon of England, Boone Speed of the US, and Yuji Hirayama of Japan). 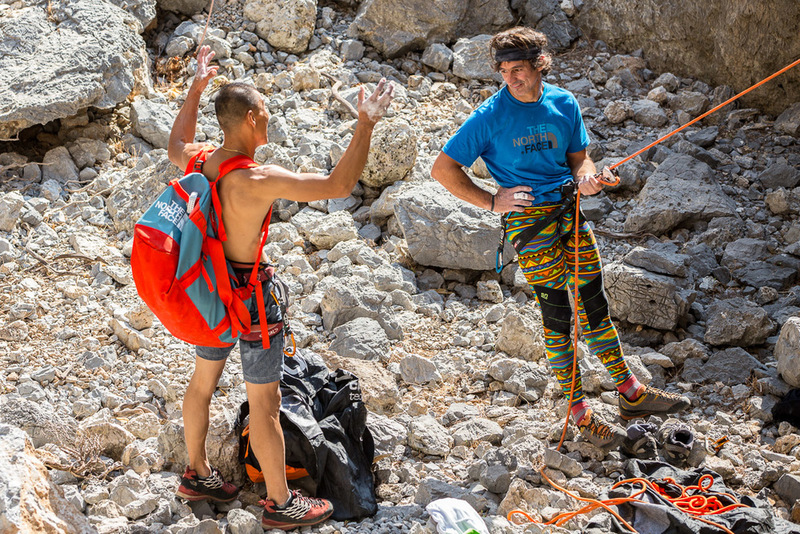 climbing legends (Jean Baptiste Tribout of France, Patxi Arocena of Spain, Gerhard Höragher of Austria, Ben Moon of England, Boone Speed of the US, and Yuji Hirayama of Japan). 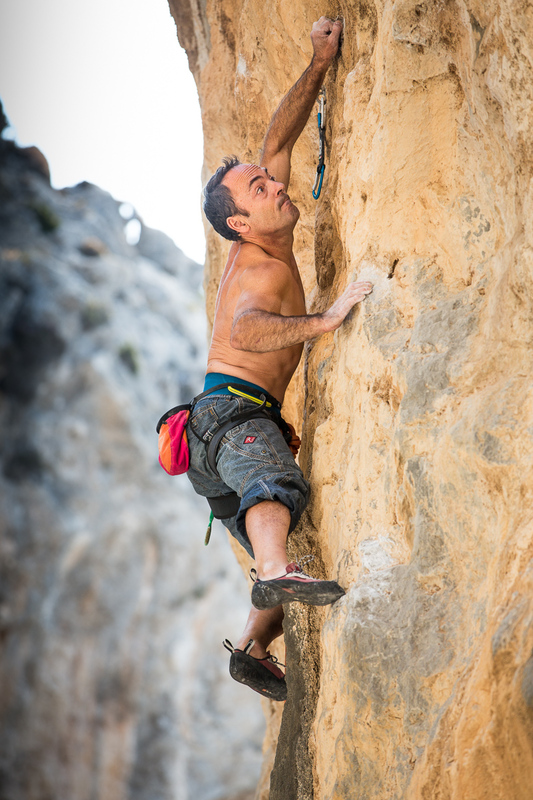 During the festival, climbing contests were also organised where everyone could enlist and at the end the winners were presented with interesting prizes. 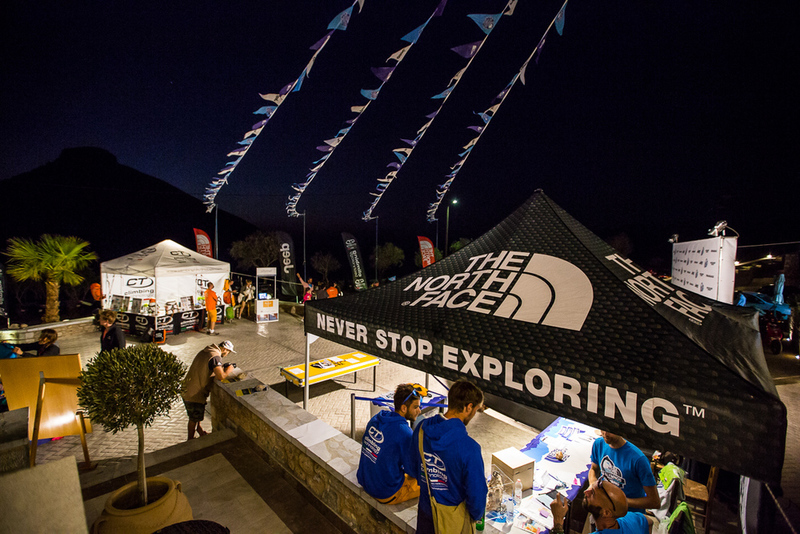 The North Face brand organise this festival in conjunction with the Kalymnos authorities and the profit was donated to the development of this beautiful sport on the island. 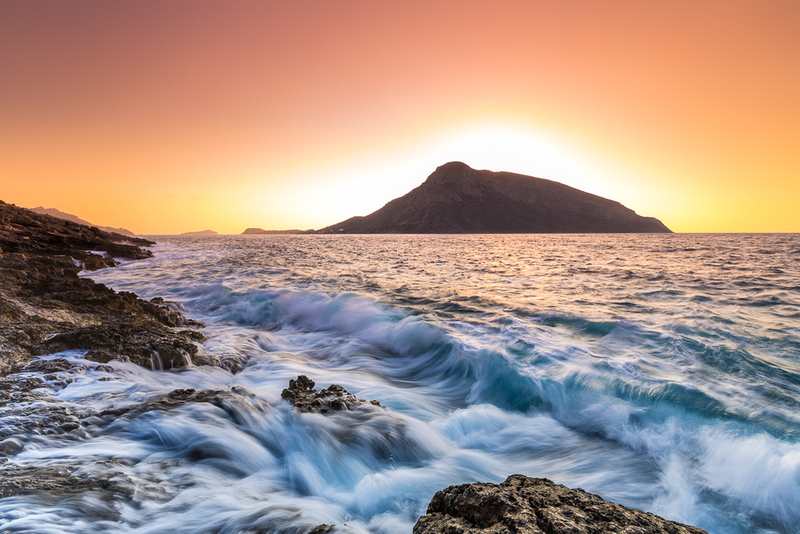 The opportunities on Kalymnos are plenty; I would surely recommend coming to the island before the festival start as it took us a whole day to get acquainted with it. This part had its magic as well, riding scooters along the single main road across the whole island and observing the landscape and goats all over the place was amazing. Then, it was all about climbing in the morning, diving in the afternoon and common dinners in the evening. Gastronomy is a thing of its own respect. Your taste buds will be pampered: fresh fish, calamari, lobsters and steaks. 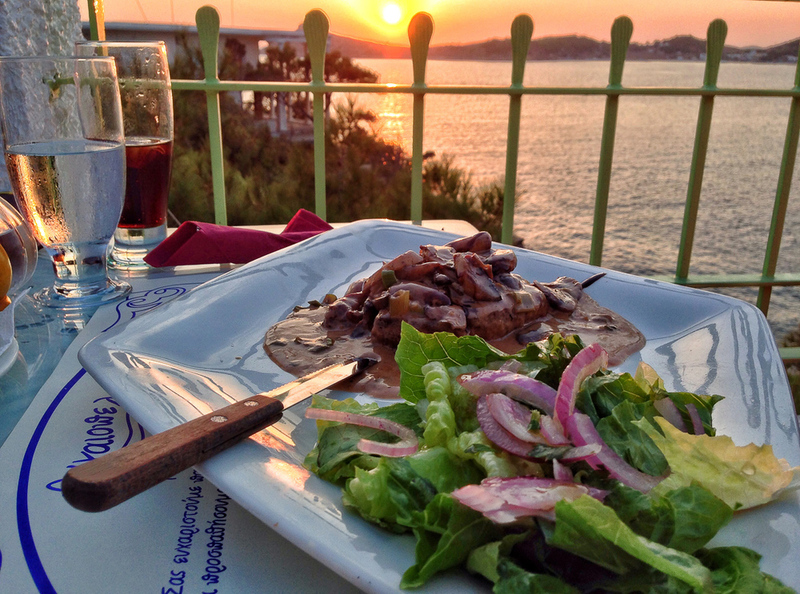 I’ve travelled a few corners of the world but the relish the food on Kalymnos provided was one of the best. Last day, as it should be, there was a goodbye party on a beach: Dj from Ibiza, beer, beach and climbers dancing all together around a campfire. What more is there to wish for? 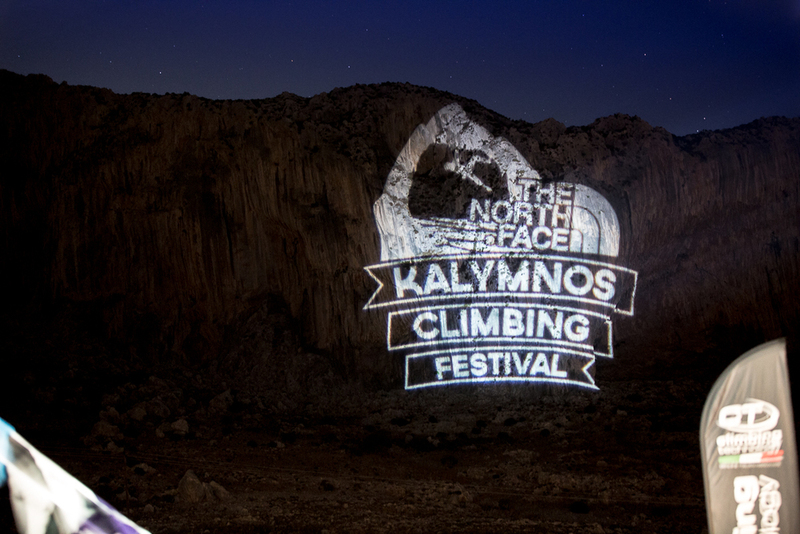 If I were to return to Kalymnos (which I’m actually intending) I would definitely go when the festival is held. It’s about mixing cultures and nations together, feelings and emotions with new friendships. 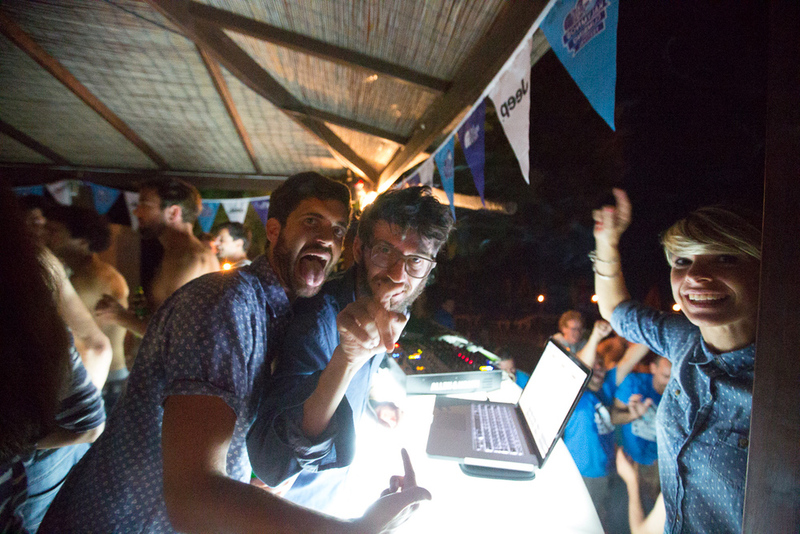 The whole island lives with the festival and positive energy and relaxed atmosphere beams from everyone. You will quickly get attached to this small piece of land and it will be hard for you to leave as it was for me. I would like to thank I love climbing website, all who voted for my picture in the competition and The North Face for this unique experience.